King Bhumibol the Great. 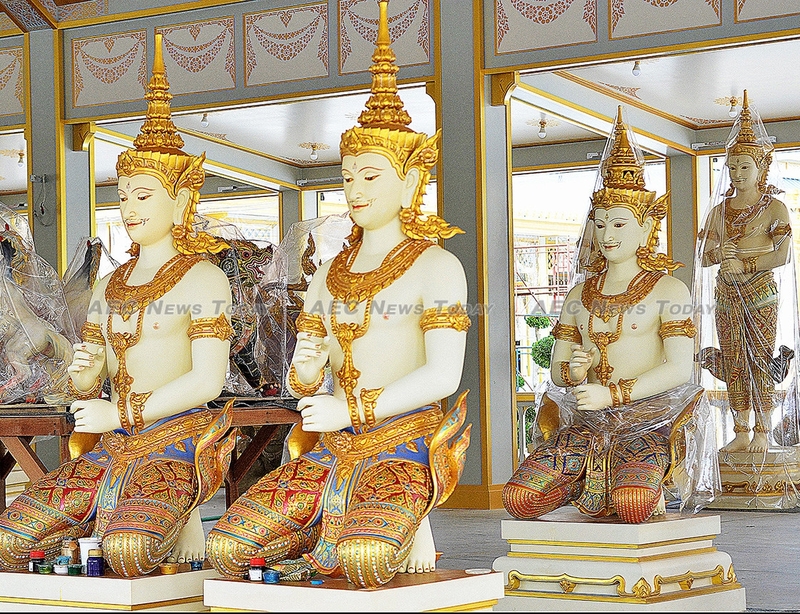 A title previously only bestowed upon six former Thai kings. 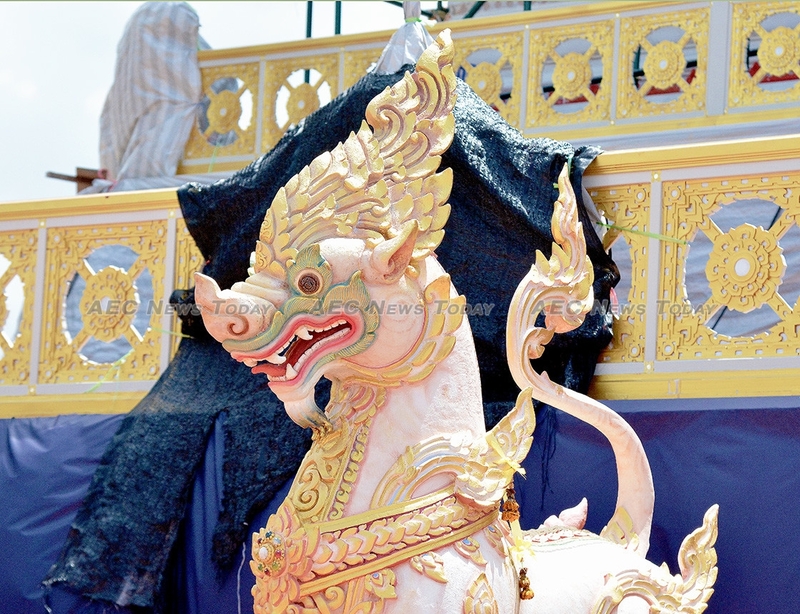 A title which, due to there being no other word, fails to adequately describe the life and rule of the ninth monarch of Thailand’s Chakri dynasty, King Bhumibol Adulyadej, also known as King Rama IX. His name, chosen by Thailand’s King Rama VII, when translated from its original Sanskrit (Devanagari: भूमिबल अतुल्यतेज, IAST: Bhūmibala Atulyateja) literally means ‘Strength of the Land, Incomparable Power’. During his reign King Bhumibol the Great received awards and degrees across multiple disciplines including in the fields of: agricultural development, art, development, engineering, food security, governance, humanitarian work, international property protection, medicine, music, peacemaking, photography, public health, science, rice research, sports, and sciences. A talented musician, an accomplished yachtsman, and the first Thai monarch to hold not one, but two patents for inventions, King Bhumibol Adulyadej was a Renaissance man truly worthy of the title ‘King of Kings’. While his accomplishments were inspiring, it will be his work, in conjunction with the Queen dowager Sirikit, in developing Thailand’s capacity, particularly that of its minority groups and those living in the farthermost reaches of his kingdom, for which he will be most remembered. Work which earned him the phrases amongst Thais of Phra Chao Yu Hua (lit: Lord Upon our Heads) or Chao Chiwit (lit: Lord of Life”). Having ascended the thrown on June 1946, the rule of King Bhumibol the Great spanned 70 years, 126 days. 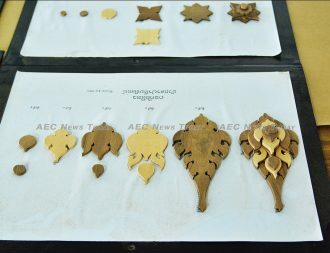 In that time he was served by 30 prime ministers, received nearly 90 honours and awards from foreign governments and international organisations, and was conferred 25 degrees and 14 fellowships from foreign academic institutions. 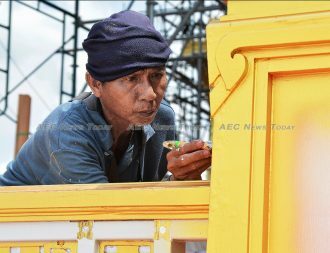 Despite having been in ill health since 2006 the death of King Bhumibol the Great sent a shock wave through the country. 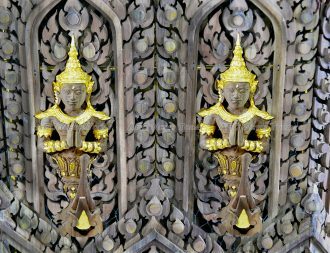 It was as if the lights had suddenly been turned off. 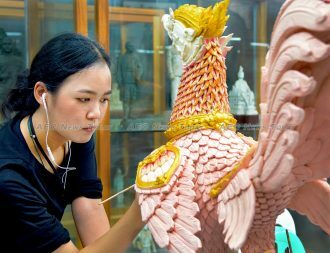 Life continued, albeit in a much more subdued and solemn state, irrespective of anyone’s political alignment or social status. 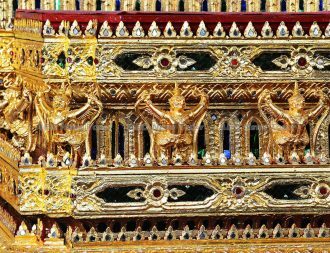 The only king that the majority of the population had ever known was dead. 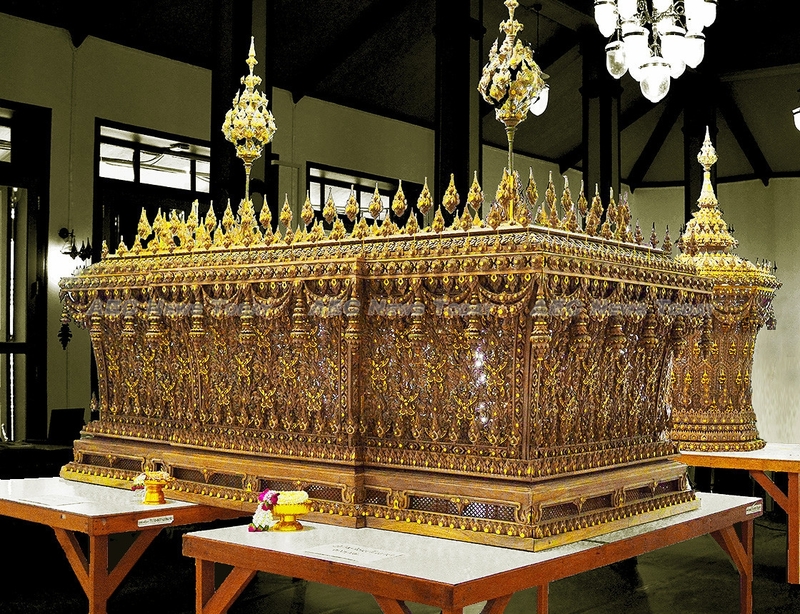 The shroud of grief that enveloped the kingdom, and the Thai diaspora, was immediate, immense, and impenetrable. 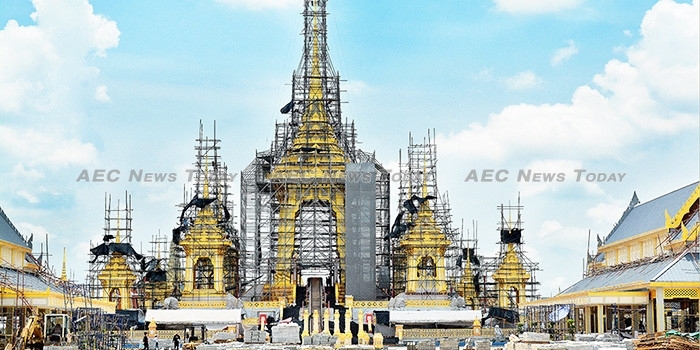 Given the wide-reaching impact of his reign it is not surprising that the funeral of the the first Thai monarch in 67 years is going to be lavish in Thai tradition and culture. 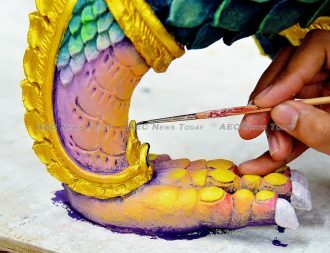 No cost is being spared. 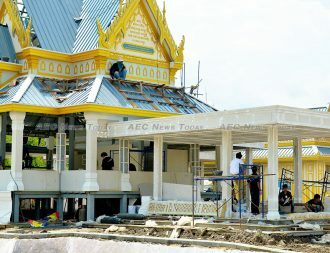 The Thailand government has set aside a budget of Bt3 billion (about US$90 million), while hundreds of thousands of baht more are being spent by an assortment of affiliated organisations and private enterprise. 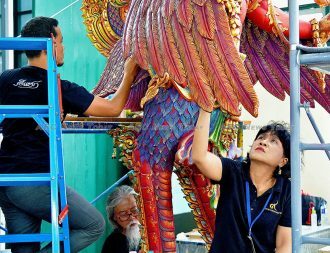 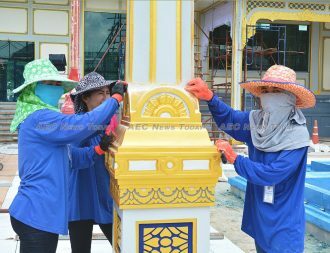 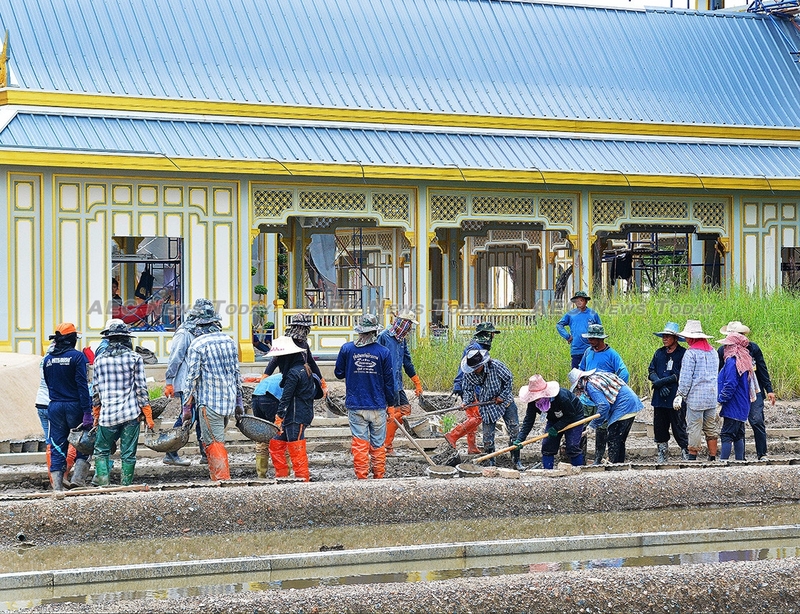 Tens of thousands of Thai citizens are volunteering their labour, skills, and services to ensure the funeral ceremony, scheduled for October 25 through 29, is befitting for the King of Kings. 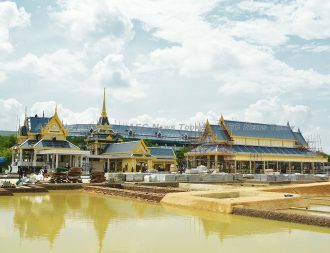 Positioned directly in front of the Grand Palace complex, the Sanam Luang fields (Lit: Royal Cremation Grounds) have been the traditional cremation place of Thai monarchs for centuries. 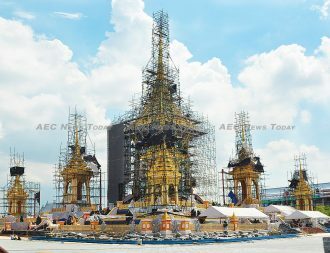 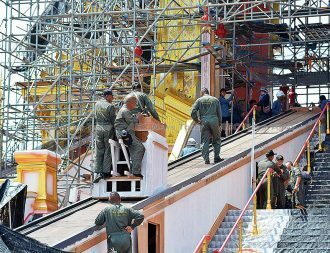 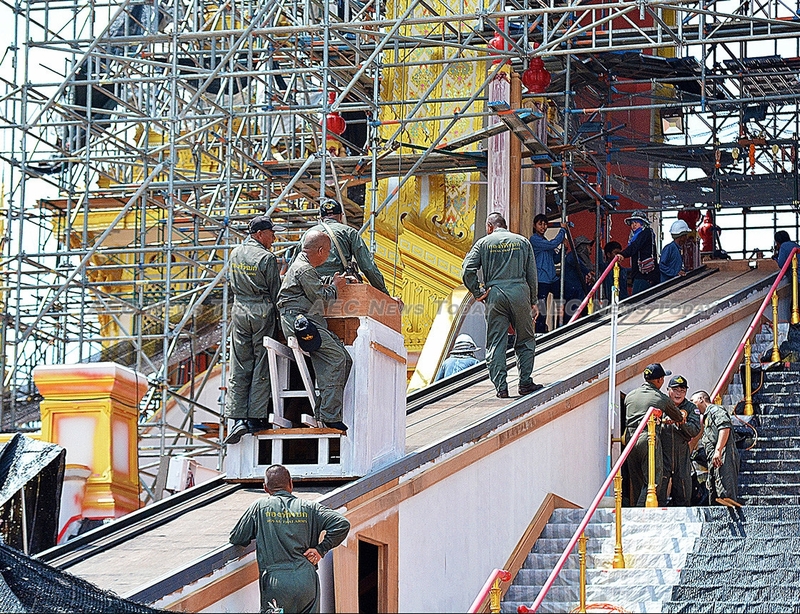 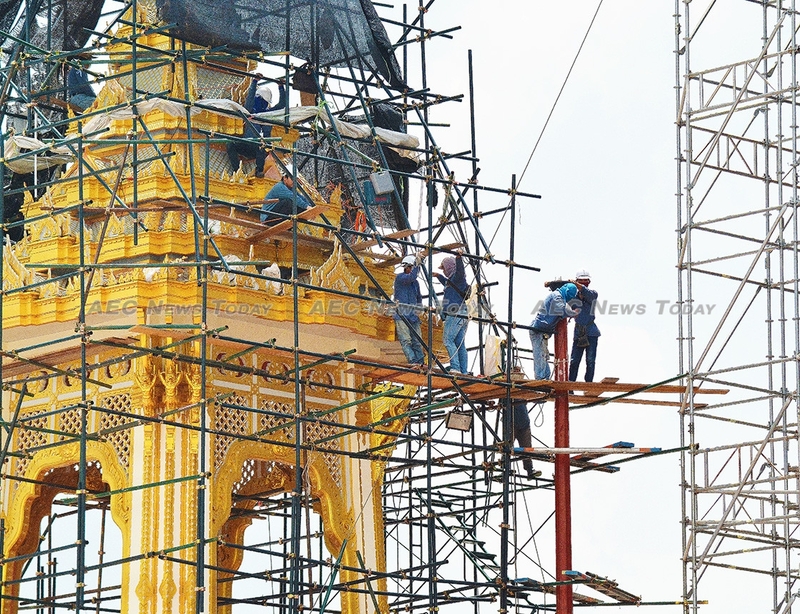 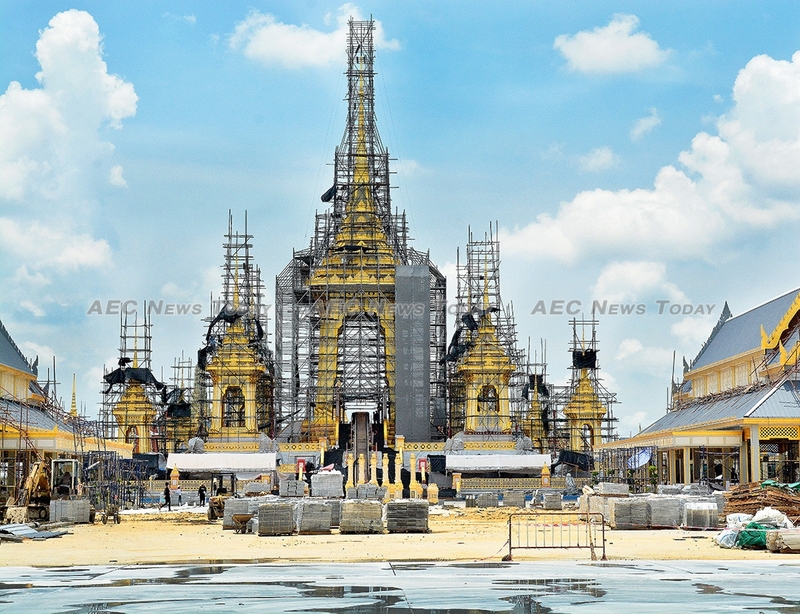 While up to 30,000 people a day wait nearby for the opportunity to pay their respects to the body of King Bhumibol the Great laying in State in the Dusit Maha Prasat Throne Hall, inside the Grand Palace complex, work continues on completing the construction of a royal crematorium of majestic proportions. 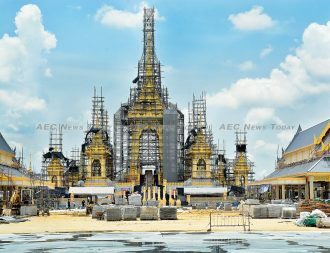 Comprising some ten buildings (Busabok), the centerpiece is a gigantic funeral pyre made from reinforced concrete measuring 60 sq.meters (646 sq.ft) at the base and towering 50 meters (164 ft) tall. Designed to resemble Mount Meru, the heavenly center of the universe in both Buddhism and Hinduism, it is referred to as the ‘architecture of heaven’. 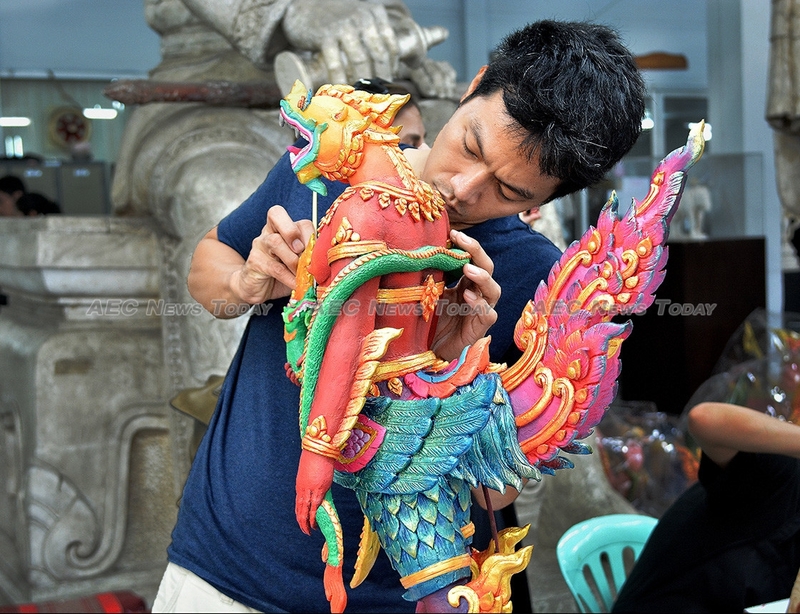 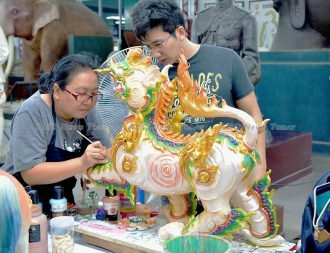 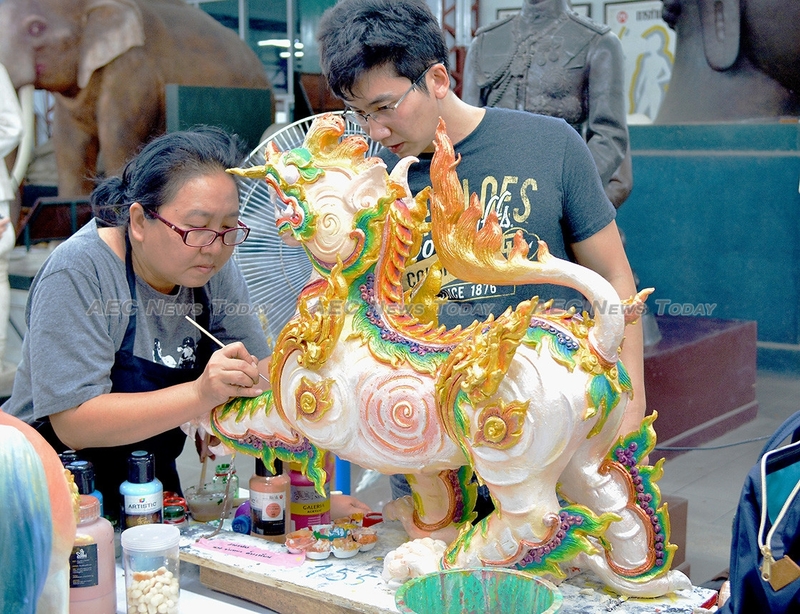 More than 500 statues comprising real and mythical animals (including Tongdaeng and Cao Cao, the late King’s favourite dog’s), gods, and deity from Hindu and Buddhist religions are being prepared to adorn the structure and its surroundings. Predominate among them is the Garuda, a mythical bird-like creature from Hindu and Buddhist mythology which is also the royal emblem. 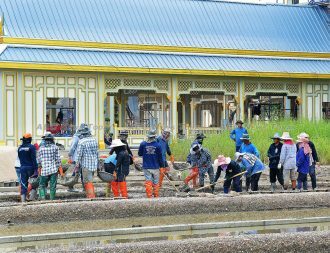 At the base of the nine-spired funeral pyre is a water feature in tribute to the work King Bhumibol the Great did in water management, a key in helping to empower the rural poor. The entire complex measures more than 30,000 sq. 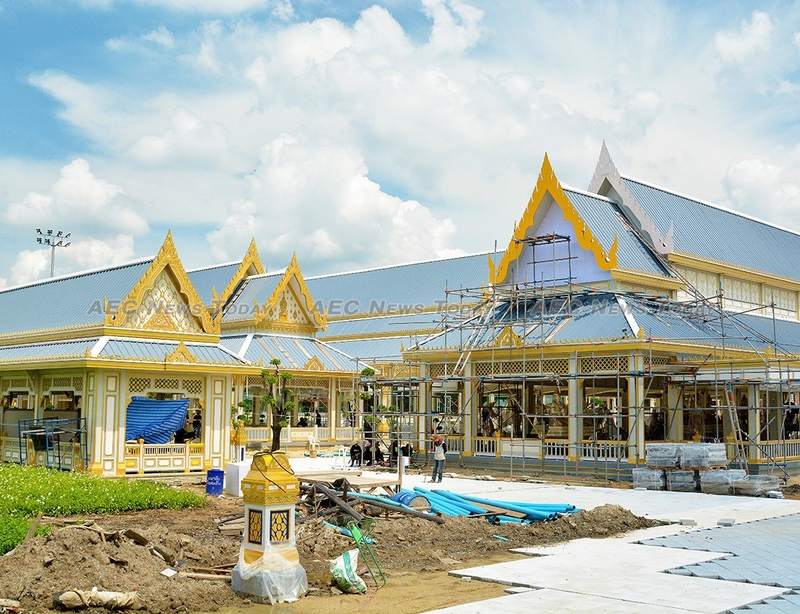 meters (323,000 sq.ft) and can accommodate some 7,500 people, with one pavilion alone able to accommodate 2,400. 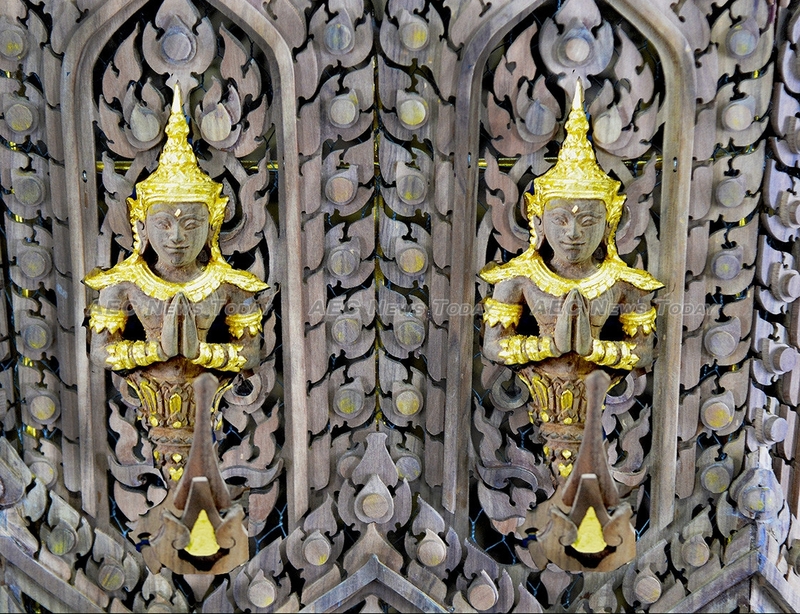 Thais believe their Kings are descendants of gods and are born standing up and are traditionally cremated in the same position inside what is called a kot, or royal urn, around which sits a decorative sandalwood surround. 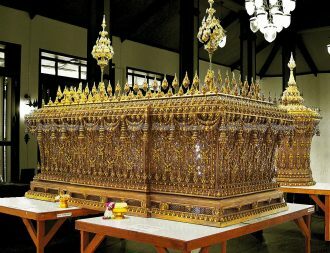 In following the practice established by his mother, the late Princess Srinagarindra who died in 1995, King Bhumibol the Great will be cremated lying down inside a modern-style coffin, which currently lies at the base of the royal urn (kot), where tens of thousands of mourners a day pay tribute to the dead monarch. 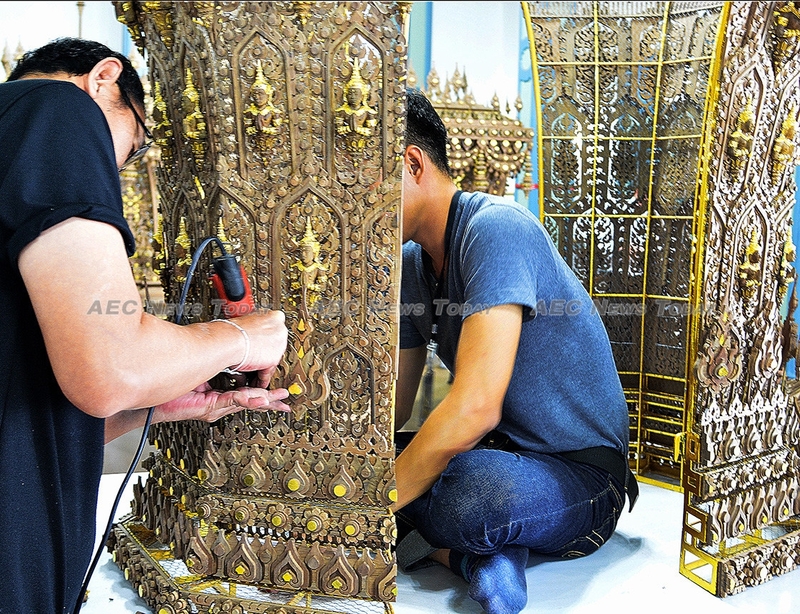 For the cremation the coffin will be surrounded by an ornately crafted sandalwood sarcophagus, while clippings of the late king’s hair and nails will be cremated in the traditional steel urn, hidden from sight by ornately decorated screens. 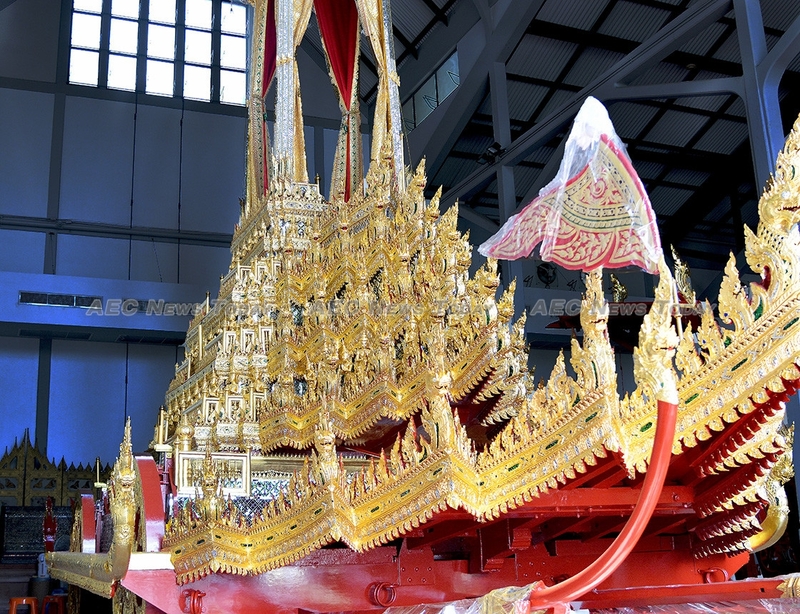 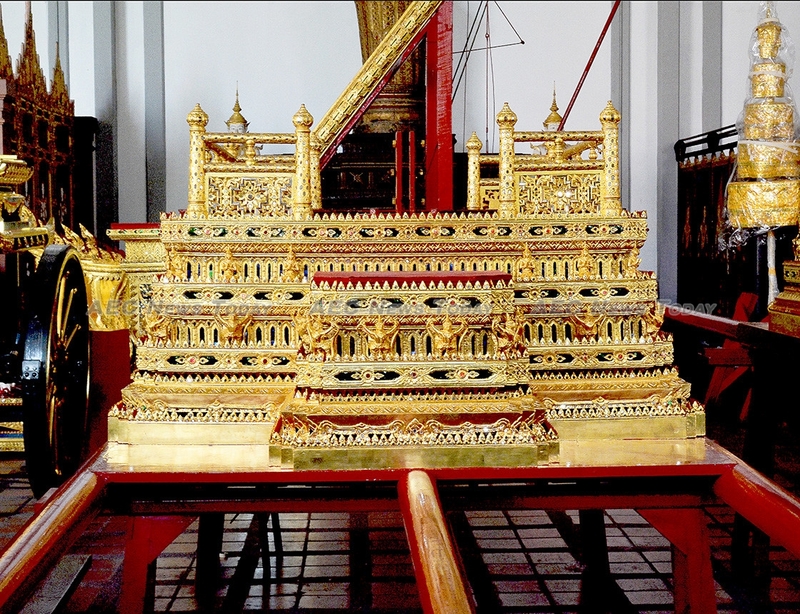 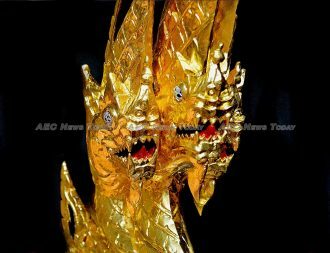 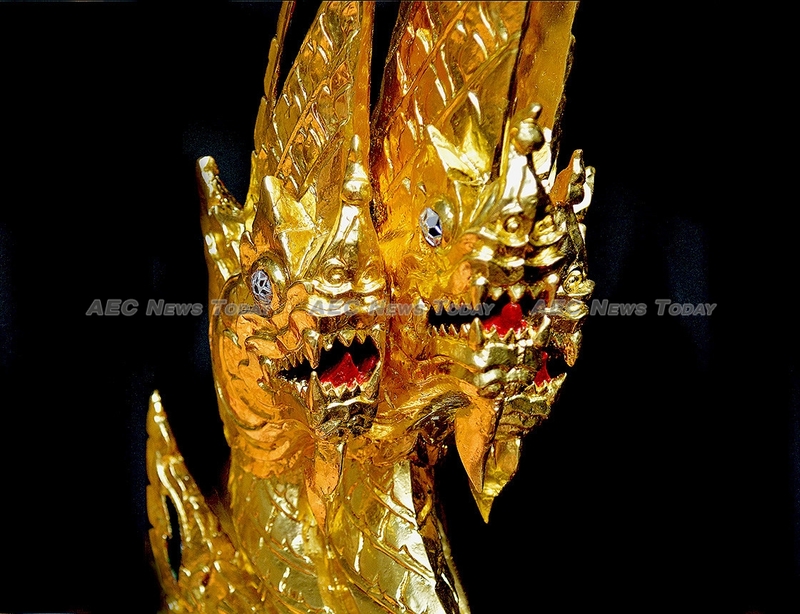 Throughout the five days of the funeral ceremony King Bhumibol the Great’s coffin and urn will be transported atop majestic gold-gilded palanquins which date back to the first King of the Chakri dynsaty, King Rama I in 1782, hauled by hundreds of soldiers. 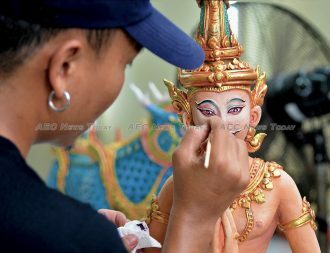 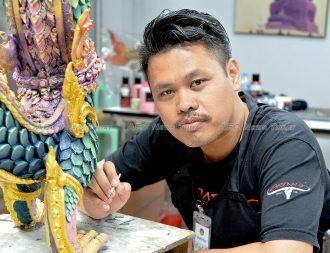 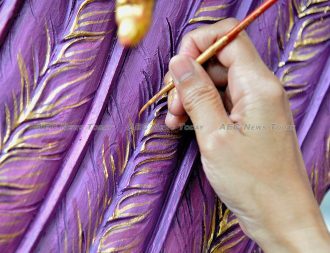 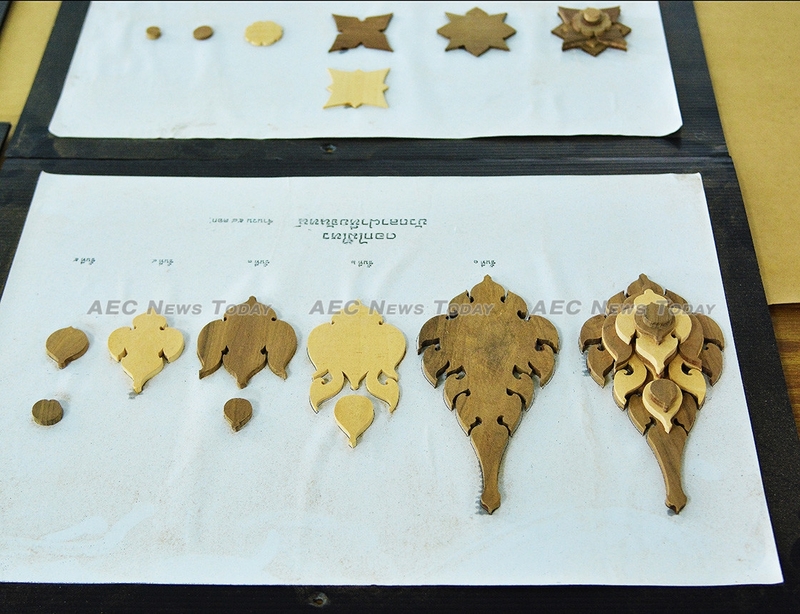 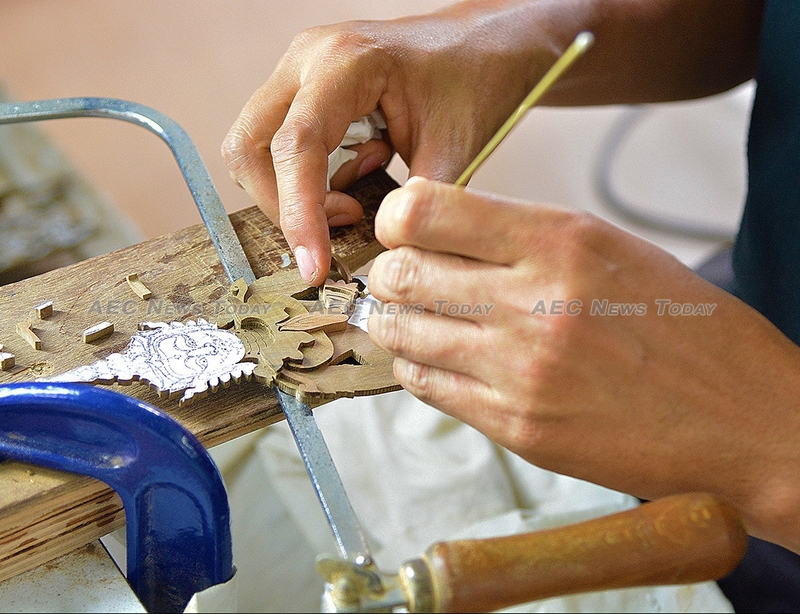 With no funeral for a monarch since that of the late King Ananda Mahidol (Rama VIII) on March 29, 1950 artisans have been forced to troll through history books to gain inspiration. Some 10,000 copies of a glossary of the royal funeral ceremony – much of which will be conducted in the Pali-Sanskrit royal tongue – are to be distributed to enable the public to understand it. 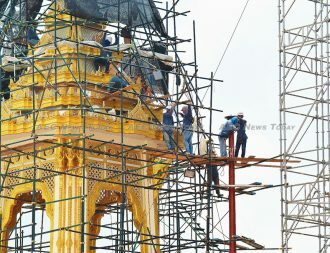 The Thai government has announced that the public will be able to inspect the Royal Crematorium of King Bhumibol The Great in November, but until then we take you for a quick look at how work has progress since February when Sanam Luang was a boggy field churned up from the huge public turn-out for the mass singing of the Royal Anthem (See: 200,000 Thais Turn Out to Sing Royal Anthem For King Bhumibol Adulyadej). 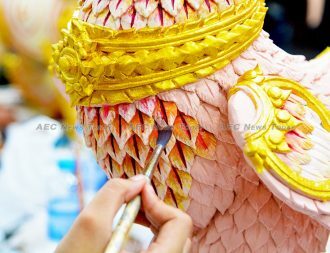 AEC News Today acknowledges the kind assistance and cooperation of the Thailand Government Public Relations Department and the Department of Fine Arts under the Ministry of Culture in compiling this report.